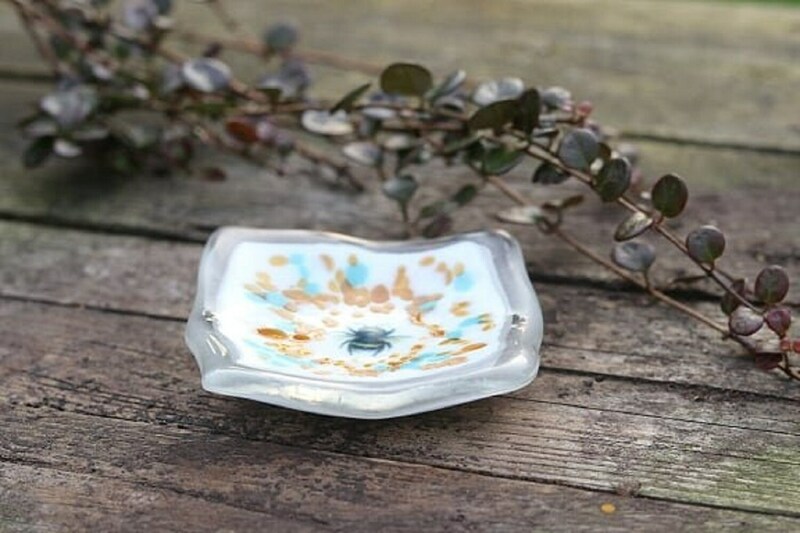 Fused glass trinket / key dish measuring 9cm square and 2cm deep. 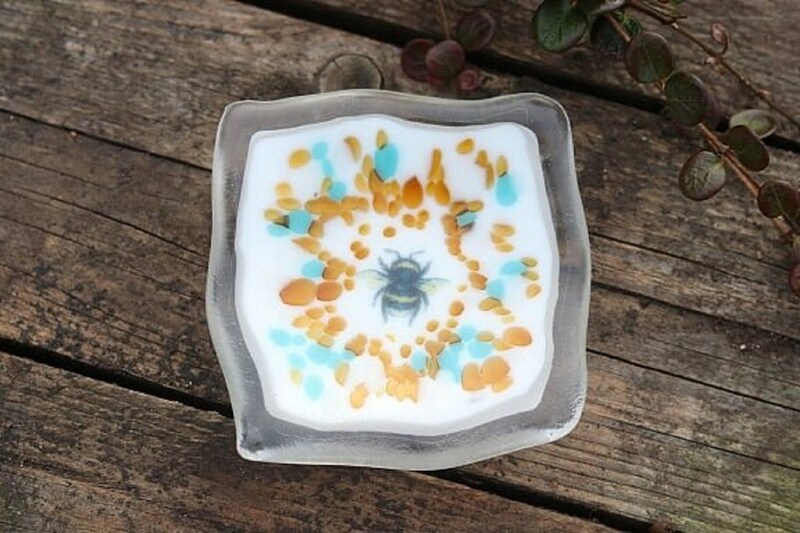 A cute little bee is the focal point of this handmade one of a kind item. 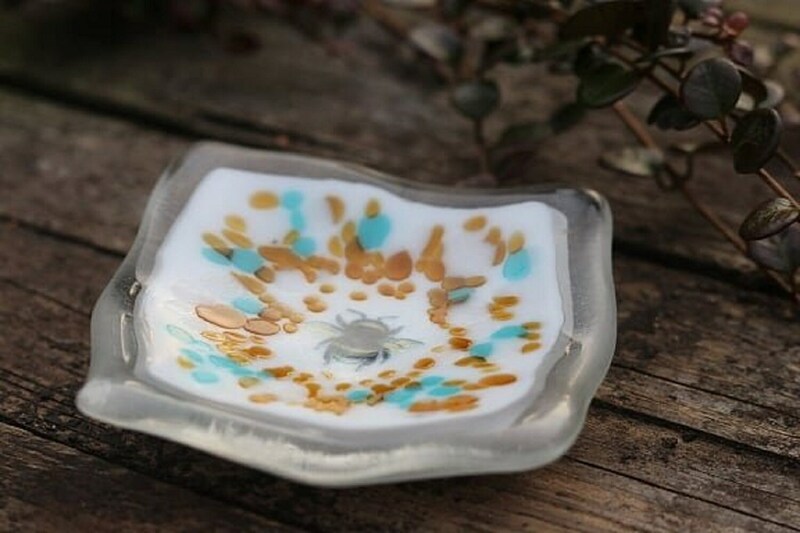 Made in my small home studio through several kiln firings.